Do you know what would happen once your computer crashes all of a sudden? The worst situation is losing thousands of folders and files, which may include documents of business and family photos. Thus, never believe that all files stored on your computer is totally safe. 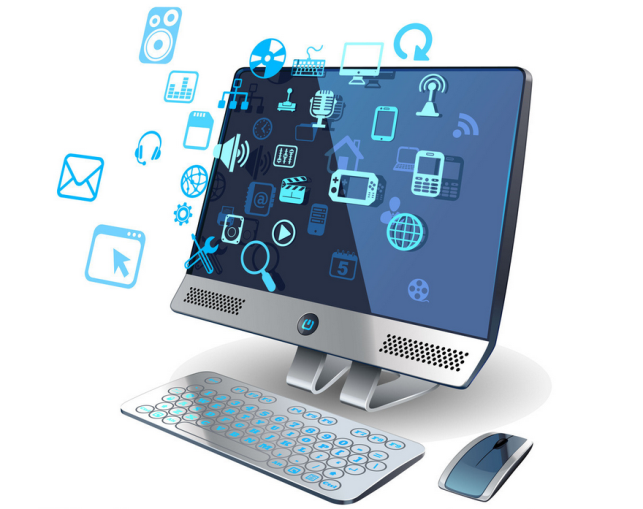 Most of cases, you use computer for working for studying and you might have saved numerous files on your PC. Computers indeed makes our lives easier and more interesting in all aspects though, they are still man-made machine and have to undergo failures. The main defect would be that data stored on computer can get lost due to various reasons, such as careless operations (e.g. file deletion by accident), program malfunctions, sudden power failure, virus attack, system crash, partition corruption, etc. You can try your luck to restore files from Recycle Bin, because Recycle Bin holds deleted files temporarily. However, if your files are deleted from Recycle Bin or deleted by Shift + Delete keys and this solution will not work. If you have been keeping good and regular backup for files every day, and you will not lose files that are more than a day’s working. And you can easily restore most of files from the latest backup. Whereas, what if you only want the files that have been backed up? Options to computer data recovery is going online and searching for possible solutions. And you’ll find that the most popular and easiest way is recovery software. 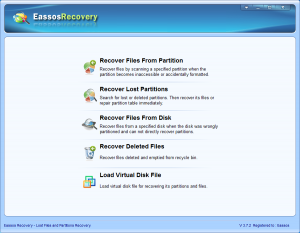 And Eassos Recovery the one that you should invest and choose. It enables you to recover lost files such as recover deleted photos, documents, movies, music, email and archives. Plus, it is compatible with all of the major Windows system and the recovery process can be very fast, for you just need to follow its wizard and don’t need to do extra operations. 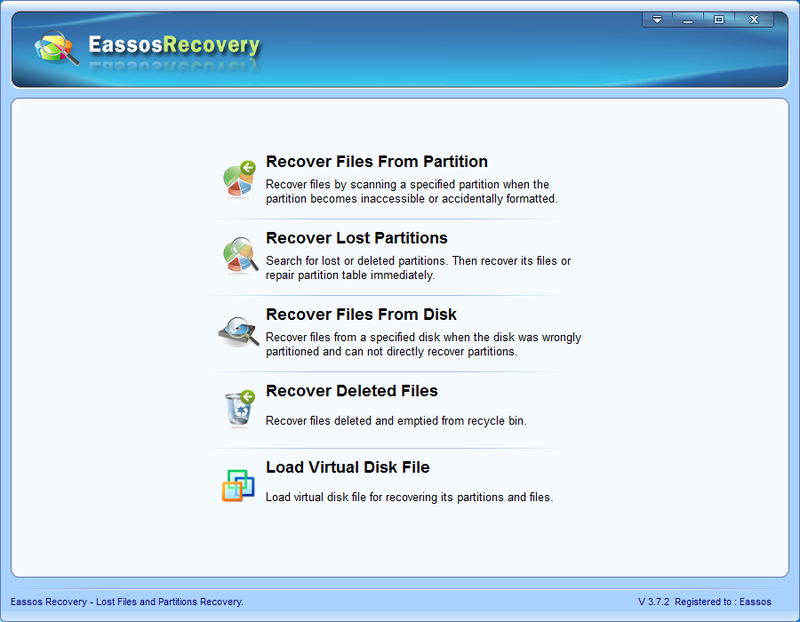 Eassos Recovery is secure and reliable, since it is created so that it doesn’t modify contents of files or cause writing action to the computer being scanned. 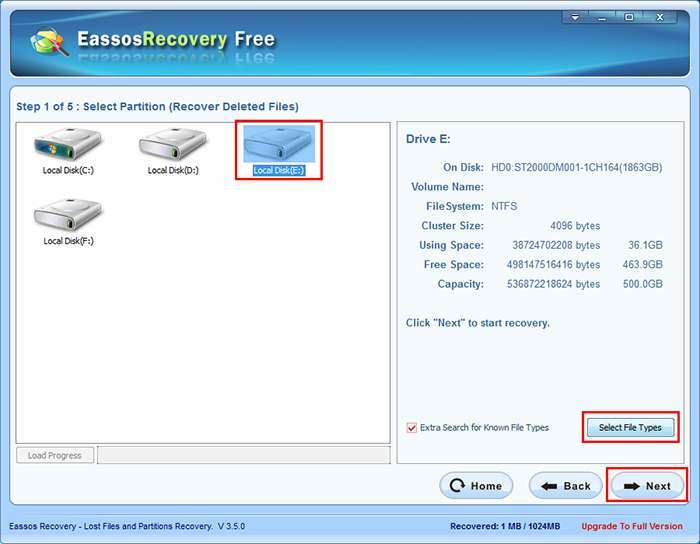 Step 1: Download, install and run Eassos Recovery. 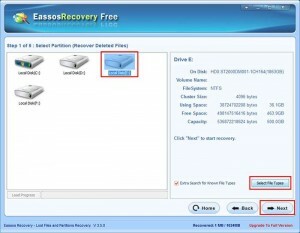 Click one proper recovery mode for the specific data loss case. Step 2: Click the drive or partition that loses files and click “Next” to start scanning lost file. 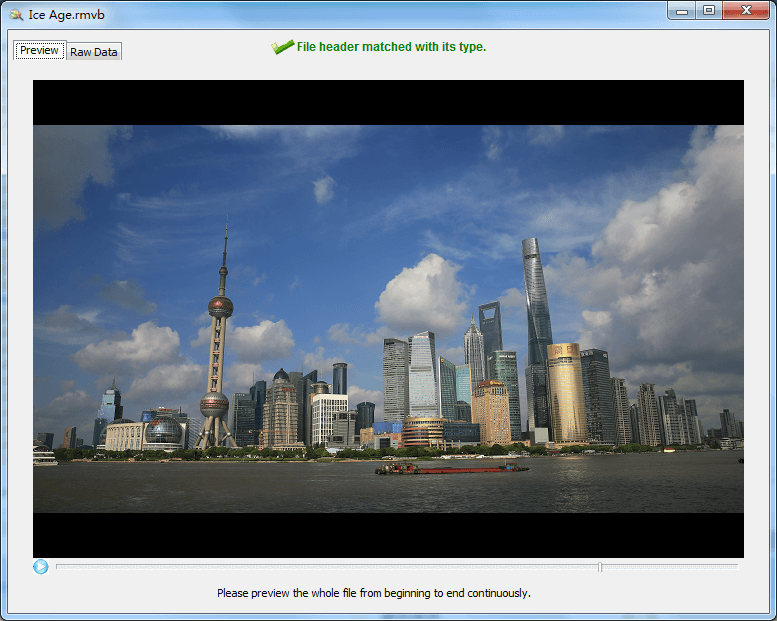 Step 3: Preview and selectively recover files. After scan, all recoverable files are listed with directory or by categories. And you can preview full contents of pictures, documents, video and audio files.